Edgar Cochrane graduated MB ChB from the University in 1924 and MD in 1937, and was in medical service in Borneo, Aden and Barbados. Cochrane was born on 21 September 1897 at Chaoyang, a district of modern day Beijing. He was the son of medical missionary Thomas Cochrane, founder and first principal of the Peking Union Medical College. The his family survived the Boxer rising of 1900. Cochrane was schooled in London. With the outbreak of the First World War, he enlisted as a Cadet in the City of London Rifles in 1915. He served in France, and was wounded twice at the Somme and at Vimy Ridge. He reached the rank of temporary 2nd Lieutenant in October 1917. Cochrane then enrolled at the University of Glasgow together with his brother, Robert Greenhill Cochrane, in the summer of 1919. That summer they were both awarded second class certificates in Systematic Chemistry. Cochrane went on to receive another second class certificate in Practical Physiology in session 1921-1922, and a first class certificate in Pathology in summer 1922. He graduated MB ChB in 1925. Cochrane became a chief medical officer, serving at various location throughout the world including Borneo (Myanmar), Barbados, and Yemen. 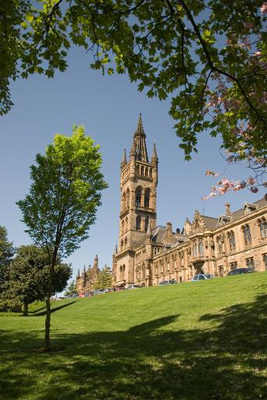 Cochrane returned to the University of Glasgow, where he obtained a MD degree with commendation with the thesis The treatment & prevention of tuberculosis in the tropics. He graduated in absentia on 24 April 1937. In the same year, he was also awarded the Persian Expeditionary Force medal for his contribution to tropical medicine. During his time in Aden as director of medical services, Cochrane was able to bridge religious and political divides with his medical expertise. He organised the transit of 40000 Israelis to Palestine from Yemen, for which his name was twice recorded in the Golden Book of Israel. At the same time, he maintained strong relations with the Arabs, who requested he remain in Aden after his retirement from the service. Cochrane remained for a further six years in Aden in private practice, and had a house built for him and a road named after him, Cochrane Road. He was awarded an OBE in 1964 while serving as Senior Medical Officer of Health for Barbados. The Edgar Cochrane Polyclinic, Barbados, is named in his honour. Cochrane resided in Malta from 1966 to 1968. He died on 21 February 1980, aged 82.